-Asheville urban farmer Steven Beltram asked Asheville City Council on Tuesday night to amend a city ordinance to allow him to use bow hunters to cull a deer herd thats eating produce that he grows. Beltram, of Balsam Gardens off Sand Hill Road, grows certified organic produce, as well as chickens, turkeys and pigs. The farm started in Sylva in 2007 but moved to Asheville about four years ago. A city ordinance prohibits the discharging of firearms or other weapons inside city limits, including the firing of arrows with bows. Mayor Esther Manheimer asked council’s public safety committee to take up the discussion. Councilman Brian Haynes, chairman of that committee, said he’d be happy to do that, but he noted that he’s vegan and killing deer is not something that he could support. 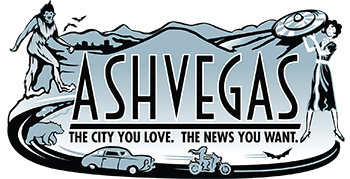 -Asheville police officer Craig Loveland told Asheville City Council on Tuesday that an average of 2.2 officers leave the Asheville Police Department every month. Loveland said five officers have left the force so far this May. Loveland, a 17-year veteran of the Police Department, said officers are being overworked, lack resources and have been unfairly criticized in the wake of the publication of police body cam video earlier this year showing a now former Asheville Police Department officer punching and choking a man on an August night in 2017. “I think it’s important that you understand that the actions of a few that happened recently are not what the rest of us are doing. It’s important to know that we have your support,” he said. -Michael Napelitano, the owner of Manicomio Pizza on Biltmore Avenue, urged Asheville City Council to put more police officers on the street to deal with loiterers who are using drugs and defecating on the sidewalk outside of his business. “It’s a constant thing,” Napelitano said, who said that people are begging for food and that someone defecated in the alcove entrance to his pizza shop. “I need your help. I invested my life savings in Asheville and I’m expecting Asheville to invest in me. I’m asking you people to do your job and give me some protection.” Mayor Manheimer said that interim city manager Cathy Ball is working on fleshing out an idea that city leaders learned about when they visited Fort Collins, Colo., a couple of years ago. “They have an interesting program where the city helps fund a nonprofit that trains folks to respond to calls like yours,” she said. The group, called Outreach Fort Collins, helps travelers and homeless people find resources they need. That service, in turn, takes pressure off local police. -In action earlier in the meeting, Asheville City Council discussed disbanding its Citizen/Police Advisory Committee as it creates a new Human Relations Commission and seeks legislation to establish a new citizen review committee with power to make binding decisions, power the current advisory committee doesn’t have. Councilman Keith Young made a motion, which was seconded, to disband CPAC. But a series of speakers rose to speak against that move, saying that the CPAC provided a much-needed forum for residents to air grievances. They also cautioned against doing away with the committee before the new Human Relations Commission gets fully up and running. Young rescinded his motion. But Mayor Manheimer noted that it will take renewed energy to keep the CPAC going: the nine-member board currently has six vacancies. She said the city would be seeking applications for people that want to serve. Could Councilman Haynes offer a solution for keeping the deer from eating this farmer’s produce? As a vegan, shouldn’t he want to encourage the growing of vegetables within the city. Organic gardener vs. vegan: Deer massacre hangs in the balance!